Beaver First Nation Chief Trevor Mercredi says he was shocked as he sat in a conference room and listened to United Conservative Party leader Jason Kenney announce the sale of Crown land in Alberta as part of his party’s platform. Kenney made the statement at the Rural Municipalities Association convention in Edmonton in late November. The land in question and on Kenney’s radar to sell is in Mackenzie County in the Peace region. Mackenzie County is home to Treaty 8 First Nations of Beaver, Tall Cree, Little Red River Cree and the Dene Tha, which form the North Peace Tribal Council. Mercredi says he understands why Kenney would look to sell Crown land in that area, as La Crete, one of three hamlets in Mackenzie County, is a strong farming community and it would garner sure support for the UCP in the spring 2019 provincial election. About 10 years ago, Ed Stelmach’s PC government auctioned off land in that area. Kenney referred to the land as “unproductive,” a characterization that Treaty 8 Grand Chief Arthur Noskey took exception to. “Crown land is where our people practice our traditional Treaty rights. It is extraordinarily productive to us as First Nations. It is where we hunt, where we gather herbs and medicines,” he said. Noskey added that consultation with First Nations—something that did not happen before Kenney made his announcement—would be required before any traditional land was sold. 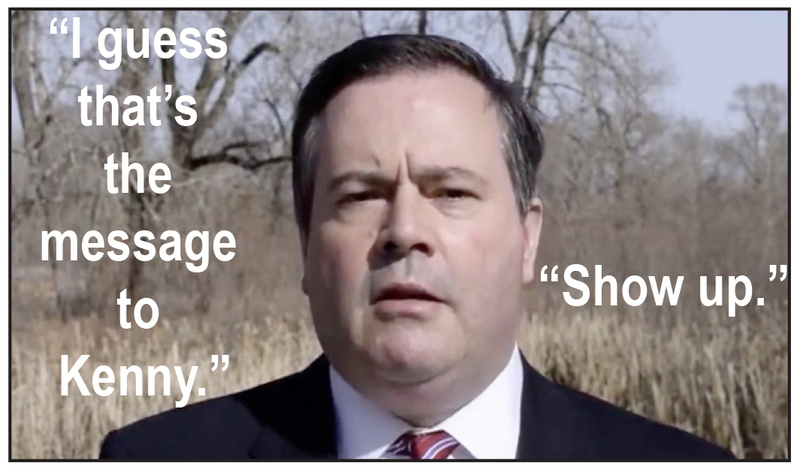 Kenney was also called out by Alberta Indigenous Relations Minister Richard Feehan in an interview with CFWE-FM radio. Feehan expressed disbelief that Kenney seemed to be unclear about the duty to consult. “That’s pretty surprising for somebody who was a Cabinet minister in Ottawa for, I think, nine or 10 years which means that he actually had the responsibility to hold up the federal Crown’s treaty responsibilities, particularly their fiduciary responsibilities, and that also includes the responsibility for consultations,” said Feehan. Kenney was elected to the House of Commons as a Reform Party member in 1997. When the Harper Conservatives formed their first minority government in 2006, Kenney was part of that team. Kenney held a number of Cabinet posts. He left Ottawa in 2016 to enter provincial politics. Feehan said he would be willing to introduce Kenney to Treaty 8 leadership. “I know the territory, I know some of the issues—not like the locals know them, I know that, but I understand that if you show up at the table, so do the nations and the conversations are a lot better. So I guess that’s the message to Kenny: Show up,” said Feehan. Mercredi agrees that Kenney needs to “show up.” He says Kenney has a meeting scheduled with First Nations area leadership for February. However, with sale of Crown lands now on the agenda, Mercredi is concerned about how much time chiefs will get to present the rest of their issues. “My feeling is that (Kenney) has a few months to turn himself around and start listening to the First Nations’ concerns,” said Mercredi. If that doesn’t happen, he says First Nations won’t be voting for Kenney and the UCP. “It’s going to be tough for us to support him in any sort of way if we don’t see any respect coming from his party,” he said. But that doesn’t mean clear sailing for Notley’s NDP government. “I believe that Richard Feehan’s heart is in a good place and he really believes what he says, but what he says doesn’t always trickle down to what actually is happening on the ground, because we have a lot of issues with the current government in the way we’re being consulted today,” said Mercredi. The UCP did not respond to a request from Windspeaker.com for an interview or statement.